Discussion in 'Transformers News and Rumors' started by Tony_Bacala, Jul 1, 2015. Dammit. I was going back and forth on the 3-pack but these pictures sealed it, I must get them! Fantastic shots, guys. 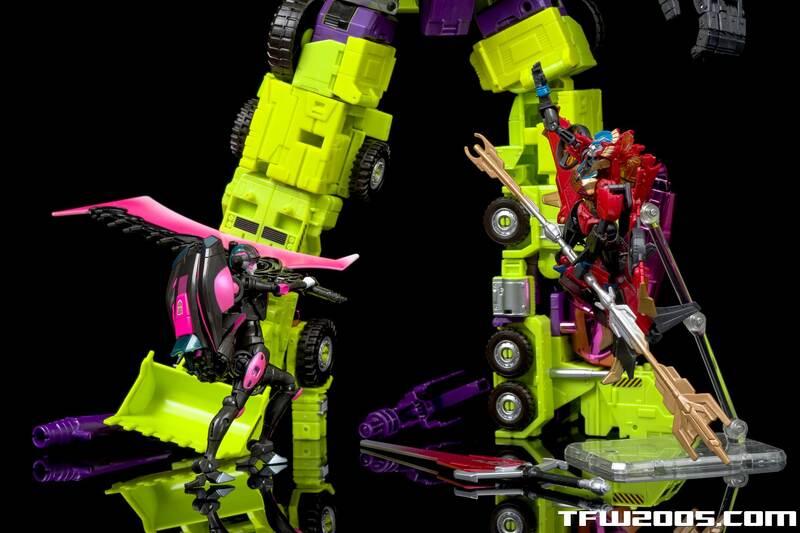 I especially like the double shot of the girls climbing all over Devastator, very clever! 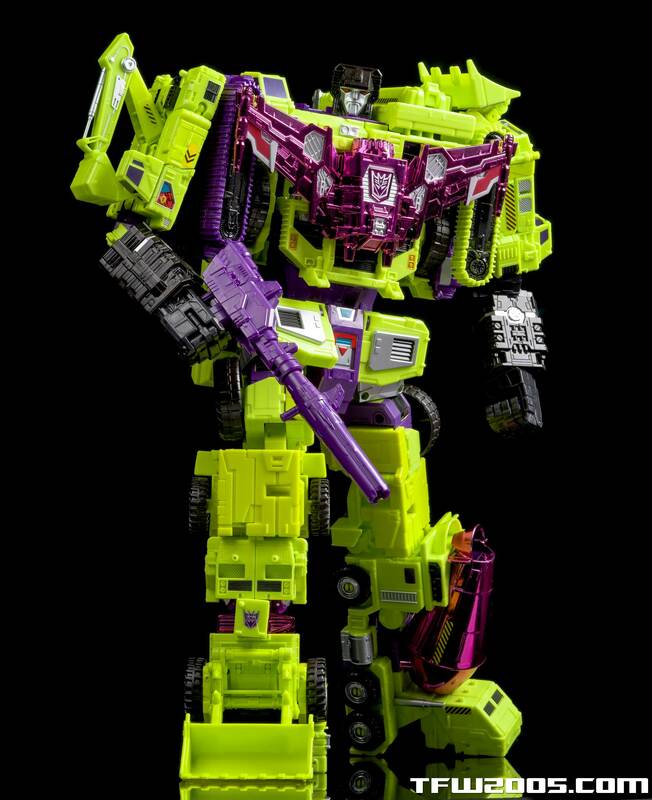 As for Devastator - I decided I'd just get the retail version, since he's probably going to wind up in combined form most of the time. I might pick up a 3rd party upgrade or two (I see Dr. Wu is doing G1-styled weapons for the individual bots, and elbows for Scrapper) if they're not too expensive, but I plan to paint him to add details, so I can't find a reason to spend more than the base figure. I'm liking the girls much more than I thought I would. SDCC Devy.... the individual modes are where he really shines so I may pick it up strictly for the alt modes, while I keep the Takara version in individual bot modes (for the improved articulation/joints), and the regular retail Hasbro version in combined mode (with 3P upgrades). Triple dippin' y'all! I'm still confused so the SDCC one has no visor and the US retail one does? The review I have seen for US retail version has visor but this one doesn't. Woah dude that's going to cost a lot of dollars...I hope you'll be satisfied. Those really are gorgeous, and the over-size weapons look great with them battling against Devvy. Ehhh... That shiny purple looks atrocious on that figure. The chest armor doesn't match with the other purple except for the bottom left leg's purple paint, which looks equally just as bad. 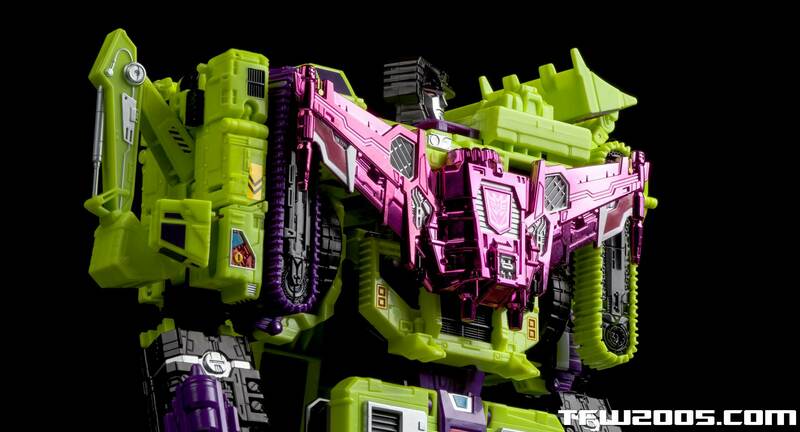 I prefer a visor for Devastator. I'm happy I'll be sticking with the Hasbro one, if TRU ever gets their game on. 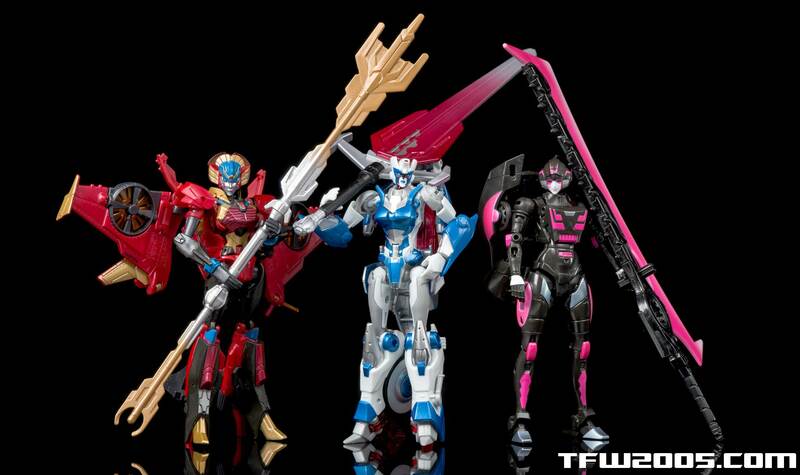 Those Fembots look wonderful though. I'll get them one day, when I can get the cash for them. Oh, and one last thing, great pictures as always TFW! 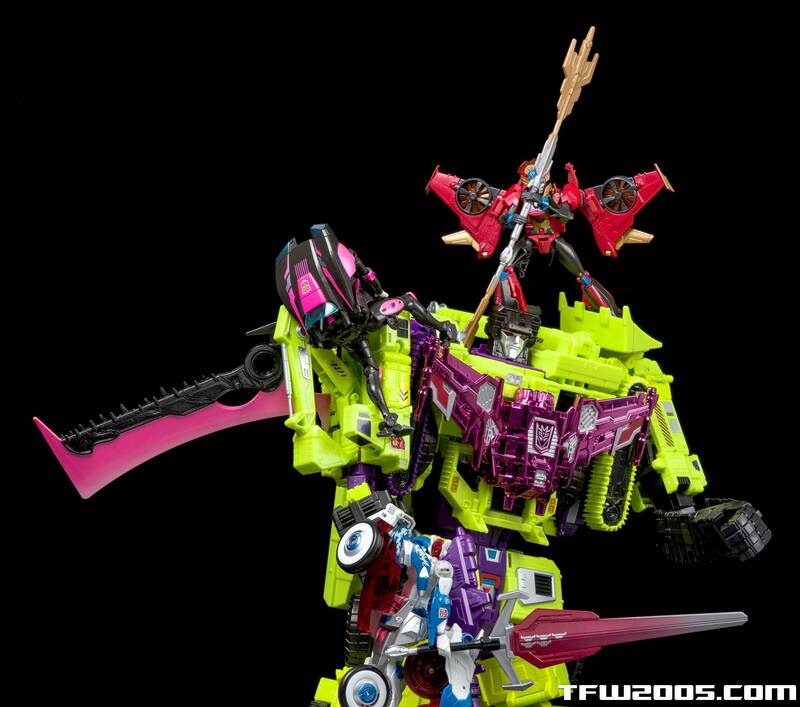 Best Transformers gallery on the internet! RE: Hasbro sending - yes they did. They have done so in past years, sometimes in full, sometimes not, and sometimes they arrived here after I had already left for SDCC. This year luckily they arrived early enough to shoot. Thanks, though it's proving to be a lot of time and effort to get everything where I want it to be, not to mention sweat and muscle moving all the units themselves (which are not light, by any means). Dusting off older toys with brushes and wiping down glass shelves with Windex, then carefully rearranging figures -- it's all a huge time sink (pun intended; luckily I took the whole week off from work) but I'm appreciating my whole collection (both TFs and non-TFs) a lot more now. It's coming together though, slowly but surely! I think ToyHax is going to be getting quite a bit of money thrown their way as well. Seems like most people like these Fembots. 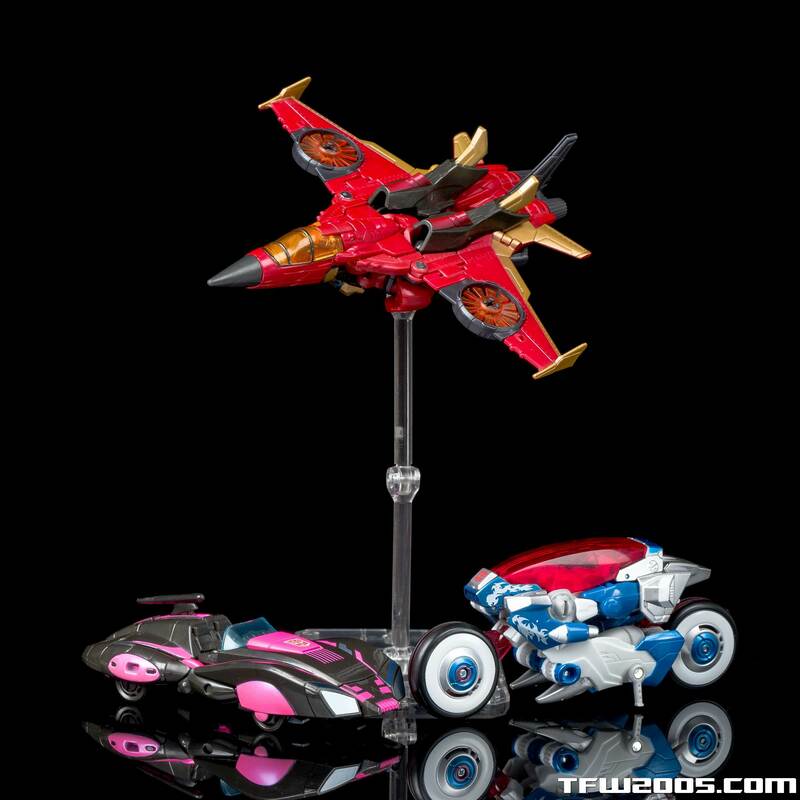 The vehicle modes don't look bad but over all I think not. I just went over the pics again and still think............Yuk.